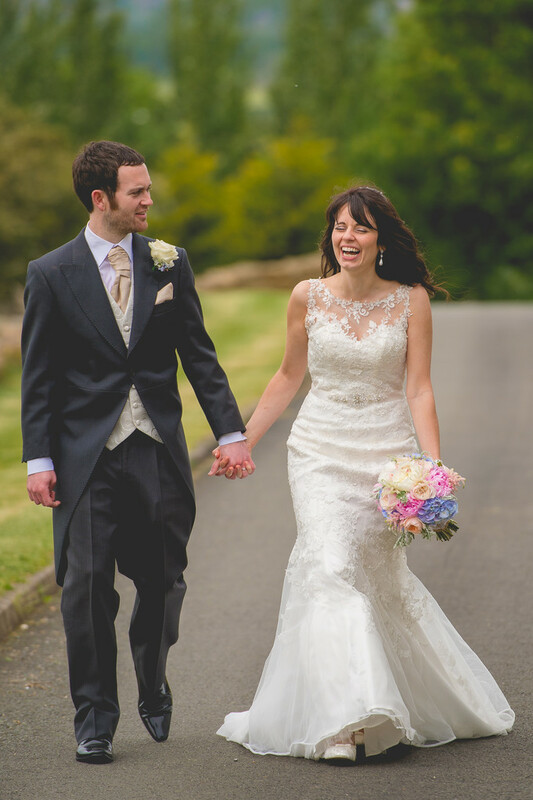 Cathy and Andy got married at Deer Park Hall in Worcestershire and held their reception at the same venue. 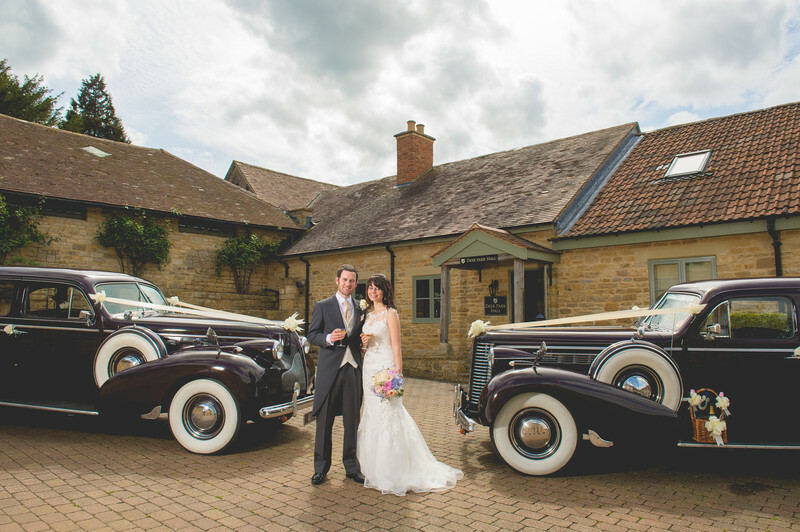 The bride and groom hired two beautiful wedding cars for their day, but as they weren't travelling between any two venues, there was no real opportunity to show the wedding cars off. Cathy and Andy asked that I take a photo with the wedding venue and two wedding cars in view. For this image, we used Deer Park Hall's courtyard at the rear of the venue, and I asked the wedding car drivers to arrange the cars so that they were pointing towards each other. I placed the bride and groom centrally in the frame and had my assistant use a large off camera flash to light the couple. I used the flash with a softbox in order to diffuse the light and reduce the contrast in the image. The sky was quite bright, despite it being overcast, and without using the flash in the way that we did, the couple would be at risk of being a silhouette. After this image was taken and the formal group photos were out of the way, we took a walk through the grounds of Deer Park and captured some lovely images of the newly married couple. The couple were amazing to work with, both a barrel of laughs which made capturing natural images like this a breeze. I am a recommended wedding photographer for Deer Park Hall, and have been since 2011. I feel very honoured to work so closely with this amazing wedding venue in Worcestershire, especially as this is one of the first wedding venues that I worked at when starting my professional career.